Two things stand out from the announcement of the WSL Big Wave Award finalists: a woman has been nominated for the heaviest tube, and no South Africans are included, ponders Spike. Keala Kennelly is the first female nominated for an open category, but it was not about "affirmative action or special divisions", said Bill Sharp, Event Director of the Big Wave Awards, "She is nominated for the 2016 Pure Scot Barrel of the Year Award because she pulled into one of the heaviest waves ever seen (at Chopes). Just look at the photos. No further explanation is required." I was curious to note that no Saffas are in the mix, although the worst wipeout nominees are not out yet. You have to think Grant Twiggy Baker gets a look-in after his BASE jump antics on a precipitous Jaws cliff face. However, when you look at Josh Redman and Matt Bromley charging other Jaws giants during the recent giant swells there, you might have thought they deserved the nod. 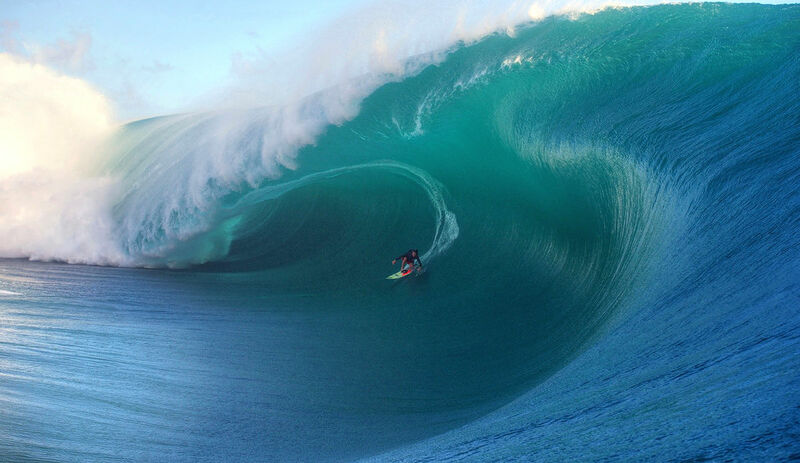 That image by Jimmy Hepp showing Redman bottom-turning beneath a colossal wall at Jaws looked right up there. Running against them, though, is reams of evidence of other gigantic exploits during a preposterously massive El Niño winter. Cynics might also add to that the fact that the SA big wave fraternity voted against the WSL event at Dungeons. But that would not be a reason no Saffas are in the mix, right? In a sense though, it doesn't matter. Our big wave riders, a growing contingent in Hawaii every year, conducted themselves with aplomb. They gained respect. They charged hard. They got some waves. They had a jol. 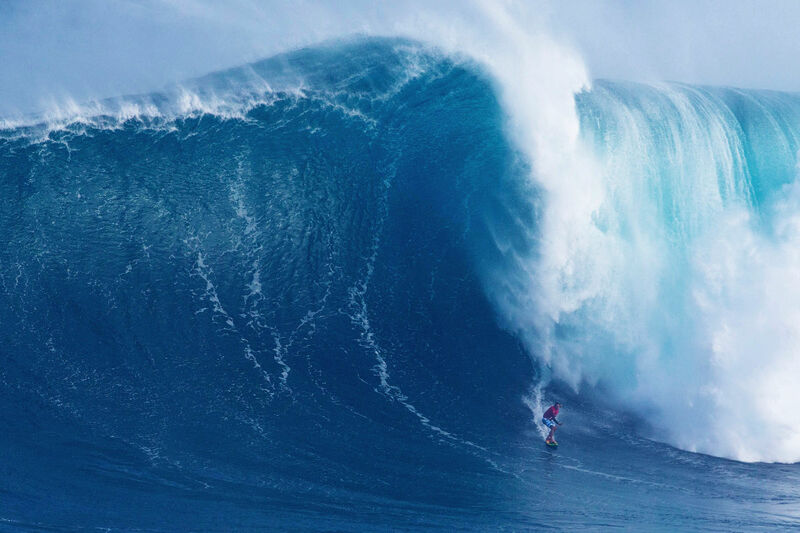 The 'Little Boy' delivered colossal waves across the board, so to speak, and crazy new heights in big wave performance were reached. Yesterday's nominees are for biggest paddled wave, biggest wave caught, ride of the year and biggest tube, with wipe of the year, women's performance and overall performance awards still to come next Tuesday 29 March. A lot of the carnage comes from two of the heaviest waves in the world: Teahupoo in Tahiti and Jaws off Maui in Hawaii, with appearances by Nazare, Mulaghmore and Puerto. Again, no Dungeons, but we didn't have an earth-shattering year, so no conspiracy theories there. According to the WSL, "a panel of judges will review the nominated rides and the winners will be revealed at the invitation-only Big Wave Awards on Saturday, April 23, 2016 at the Grove Theater in Anaheim, California." Shortlisted surfers include 2015/16 Big Wave Tour Champion Greg Long, as well as past Big Wave Award recipients Shane Dorian, Mark Healey, and Kennelly. The nominations also include up-and-comers Nathan Florence and Albee Layer. The WSL Big Wave Awards window ran from March 21 last year to March 15 this year. Every wave ridden at every big wave break around the world in this period was eligible for consideration across seven categories. A panel of judges chose the five best rides in each of the categories based on photographic and video evidence. This year’s event features over $250,000 in prize money along with TAG Heuer watches for winners. 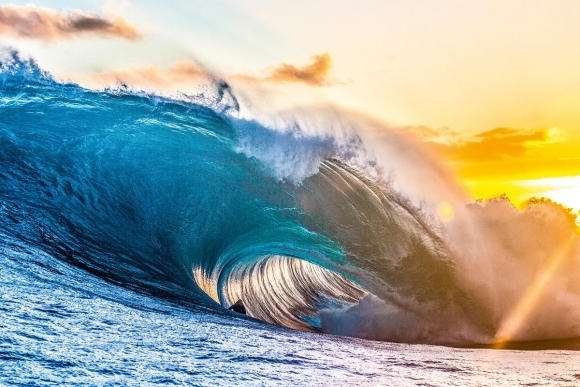 The Billabong Ride of the Year is awarded to the surfer who demonstrates the most advanced and committed level of big wave surfing during a successful ride, as judged by available video-footage. While raw size is taken into consideration, it is ultimately the level of performance that is rewarded. The category carries the biggest prize of the Big Wave Awards with $60,000 for the winner, $15,000 for second place, $10,00 for third, $5,000 for fourth and $3,000 for fifth place. The first place videographer will receive $6,000, and second through fifth place videographers will receive $750. Hawaiian surfers dominated the Billabong Ride of the Year nominations for this category, with all five finalists hailing from the Aloha State. 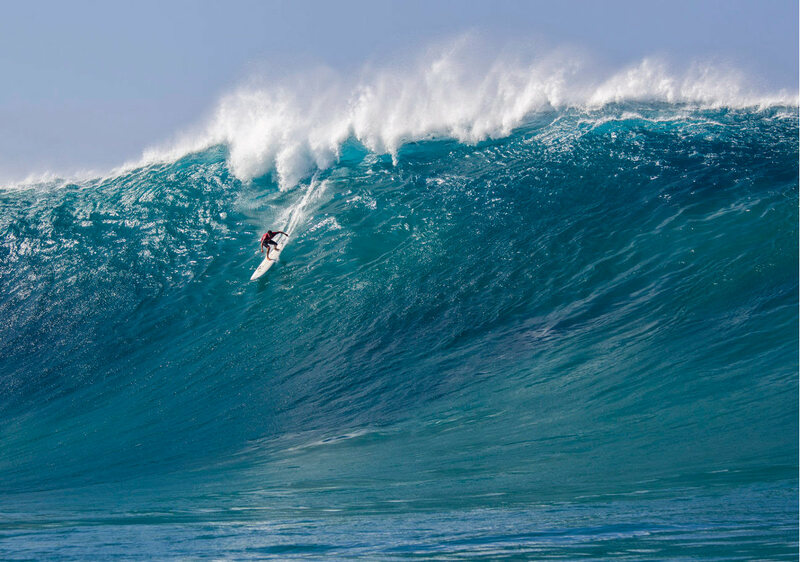 Three of the five nominated rides took place during an epic winter at Jaws, Maui including entries from 2013 Ride of the Year winner Shane Dorian (who has a second nomination in the category from Jaws) and Albee Layer, who took second place at the 2015 Big Wave Tour Pe’ahi Challenge. Tyler Larronde secured a nomination from his massive ride at Maverick’s, California. The remaining nominee, Nathan Florence, earned his selection on a heavy ride at Teahupoo, Tahiti. The Paddle Award goes to the surfer who paddles and rides the biggest wave of the year. The winner gets $25,000 and the photographer $5,000. This year’s nominees included rides at Maverick’s, California from local Ben Andrews and Nicaraguan Manny Resano. Brazilian Pedro Calado and Hawaiian Aaron Gold earned their nominations at Jaws. Hawaiian Mark Healey, Big Wave Tour veteran, secured his on a towering left at Puerto Escondido, Mexico. The TAG Heuer XXL Biggest Wave Award goes to the surfer who, by any means available, catches and rides the biggest wave of the year. The winner gets $20,000 and a $4,000 TAG Heuer Watch. The photographer gets $5,000. Finalists include Pedro Scooby, Garrett McNamara and Mick Corbett at Nazaré, Portugal. Two took place on Feb 25, 2016 at Jaws from Niccolo Porcella and Yuri Soledade. The Pure Scot Barrel of the Year goes to the surfer who rides the most spectacular tube, and is judged by still photographs. The winner gets $10,000 and the photographer $4,000. 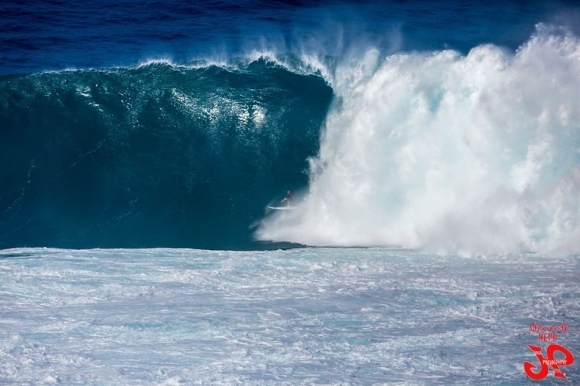 Big Wave Tour champ Greg Long got a heavy tube at the 2015 Pe’ahi Challenge. Keala Kennelly pulled into a massive barrel at Teahupoo, Tahiti. Mark Mathews hooked a fat one at Aussie slab The Right. Ian Walsh got a colossal ride at Jaws. Tom Butler charged Ireland’s Mullaghmore Head. Photographs and video of all the nominated rides can be viewed at WorldSurfLeague.com/BigWaven, log onto www.WorldSurfLeague.com .